Whether you regret the day that you got inked or your tattoos just don’t match your outfit for a particular event, at Veil, we’ve got the perfect solution. Tattoos. Many people have them; many people have a complex relationship with them. From botched jobs to inkings that you can no longer relate to, tattoos aren’t always something you want to show off. This might prove particularly problematic in the summertime. From lighter clothing to special occasions, your excitement might be being overshadowed by your fear of exposing your inking. Tattoos can be downright embarrassing and affect your self-esteem. Some might just not fit with a particular look you have in mind for a big event. Maybe you have the names of previous partners that you don’t want on show on your wedding day. There are lots of reasons for wishing you could magic away your skin art. And this is where we come in. We might not have magic wands capable of erasing your inking, but we can certainly make your tattoo disappear for the day. Veil Cover Cream provides long-lasting full coverage that’s natural looking and even waterproof. With our neutralising green, yellow and white colours, you can create the perfect base. Cover this with the shade to match your skin tone – we have over 40 to choose from – and your tattoo will look like it never existed. We even have even created our own Tattoo Camouflage Kit. It includes five shades of Veil Cover Cream, finishing powder, cleansing cream and toning lotion, along with all the tools you need. We have mini top-up kits in light/medium and medium/dark, which will fit perfectly in your bag. We also stock a Tattoo Cleanser Pack, proving that we’ve got all bases covered. But this isn’t all — our Cover Cream is so versatile that you can even use our original Cover Cream and professional Finishing Powder. And if you’ve already got or looking to purchase our fantastic new Pro Kit, you’re good to go! From a page dedicated to helping you find your perfect shade, Veil’s website is packed with resources. These include tutorials on how to cover tattoos easily and effectively. And if you have any questions or need any advice, please don’t hesitate to get in touch with us. You can email or contact us on Twitter, Facebook and Instagram. Our first priority is our customers and we love to help you guys out in any way we can. So whether you have holidays or celebrations coming up — or if you just wish you could wear whatever summer clothes you want without worrying about your tattoos being seen — look no further. Veil is your one-stop solution and we can’t wait for you to try us out! Do you have any tattoos that you want to cover up? Maybe you already use Veil to conceal them? Share in the comments! If skin concerns are casting a shadow over your joy for summer, at Veil we’ve got the perfect solution. It’s finally May! After a winter that wasn’t short on snow, spring is certainly making amends with bouts of glorious summer weather. Heatwaves and summer allow us to break free from the numerous layers we burrow under for warmth in cold weather. But for some, this comes with its own problems. If your delight is being dampened by concerns about exposing your skin, you’ve come to the right place. Skin. We’re covered in the stuff. It makes sense, then, that it comes with its own complexities. 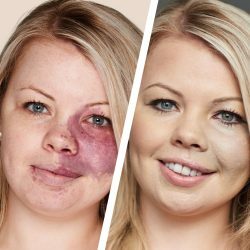 Port wine stains, vitiligo, scars, eczema, acne, birthmarks, varicose veins, psoriasis, unwanted tattoos… these are just a few of the reasons why we might not want to show our skin to the world. But you don’t need to worry about exposing your skin with your summer wardrobe. Veil was created by Thomas Blake to conceal post-operative scars, including those of WWII veterans. He produced the perfect formula in 1952. Our recipe hasn’t needed improving for over 65 years. With a range of neutralising colours to create the perfect base, Veil also has a multitude of shades. This ensures that you can blend the high coverage formula seamlessly with your natural skin tone. If you want to know how to find your shade, we have the perfect resource for you right here. Veil Cover Cream is light-weight and natural looking, even if you’re just using it as a regular foundation. Plus, it doesn’t look chalky or feel heavy on your skin. And that’s not all. It’s SPF 15-20, and the finishing powder ensures that it’s both long lasting and waterproof. Our site also has a number of resources on how to best apply Veil products depending on your skin concerns. Check out our tutorial page here. Plus, our team are just a message away on all our social media platforms. These include Facebook, Instagram and Twitter. We’re more than happy to answer all questions and offer advice. So hit that beach, enjoy the BBQ, celebrate your big day or revel at someone else’s wedding. The summer is for enjoying. Embrace the freedom to wear what you want now that your skin can be the last thing to hold you back. We love to hear what Veil users have to say. We have a whole page dedicated to your amazing stories and never fail to get excited about the photos our customers share on social media. Or simply comment below — we’d love you to get in touch! Ever wish you could wave a wand and instantly look younger? You’re one huge step closer with Veil Cover Cream. Originally developed to cover burns and skin conditions, the foundation gives such flawless coverage that it’s finding a growing following of loyal fans in the mainstream makeup market. Veil Cover Cream effortlessly covers age spots, varicose veins and those niggling signs of aging. Look at Veil’s website and you’ll see beautiful models – yet not one of them has been airbrushed. The company wants to give everyone more confidence, regardless of age or skin type – and the results really do speak for themselves. In a world where it’s become the norm to be camera-ready at any moment, Veil is set to become the nation’s next makeup essential. The full coverage cream has found a growing following of admirers across the UK, and it’s easy to see why. The Cover Cream is so simple to apply and gives unrivalled results, whether it’s used as a ‘grab and go’ to cover imperfections or as a full foundation to give a flawless finish. The Veil range was created by chemist Thomas Blake in 1952 to help patients, and today the brand remains true to its core values. It has an honest approach of empowering women – not by promising facelift-worthy results, but by making its users feel beautiful and encouraging them to be the best version of themselves. It’s absolutely amazing knowing that whether you’re having a good day or a terrible day with your skin, not only will it cover but it covers well. Whether I’m going to a meeting or a party it’s absolutely amazing. I don’t need to walk into any store and look for any other brand again. I can just go out and be one of the girls and not have to shy away from the camera when we’re doing selfies. I’d highly recommend Veil to anyone. Are you new long time customer too or are you new to Veil? Let us know in the comments! Veil’s Tattoo Camouflage Kit is the latest phenomenon in temporarily covering tattoos and imperfections. It’s always fun to change your look. With wedding season in full swing, there may be tattoos you want to cover for that special occasion. Veil’s Tattoo Camouflage Kit, allows you to temporarily cover tattoos and imperfections with the high coverage cream. 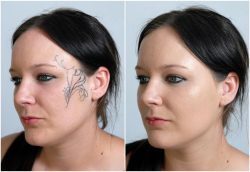 Veil’s Tattoo Camouflage Kit gives flawless results, and it’s quickly gaining popularity with brides. It’s long-lasting, waterproof, smudge proof and best of all, wedding proof! In a world where it’s necessary to be selfie-ready at any given moment, Veil products are becoming increasingly popular throughout the UK. Our product is so versatile it can be used to disguise tattoos and cover numerous skin conditions. But this isn’t all – it also serves as a full coverage foundation. With 42 shades to choose from, it blends perfectly with any skin tone. Do you have a wedding coming up? We’d love to hear – tell us in the comments! Baby, it’s cold outside. And Veil Cover Cream is the perfect solution to the havoc the winter weather can wreck on your skin. Oversized jumpers, hot chocolate and fluffy slippers – just three great things that make us love Winter! But with it comes a new set of skin needs and concerns, thanks to the change in temperature and much harsher conditions. These changes can play havoc with all skin types, and that Summer glow can soon turn into not-so-cute dry and sometimes inflamed red skin. This skin redness is almost inescapable, especially if you’re part of the 1 in 10 people that suffer from rosacea in the UK. 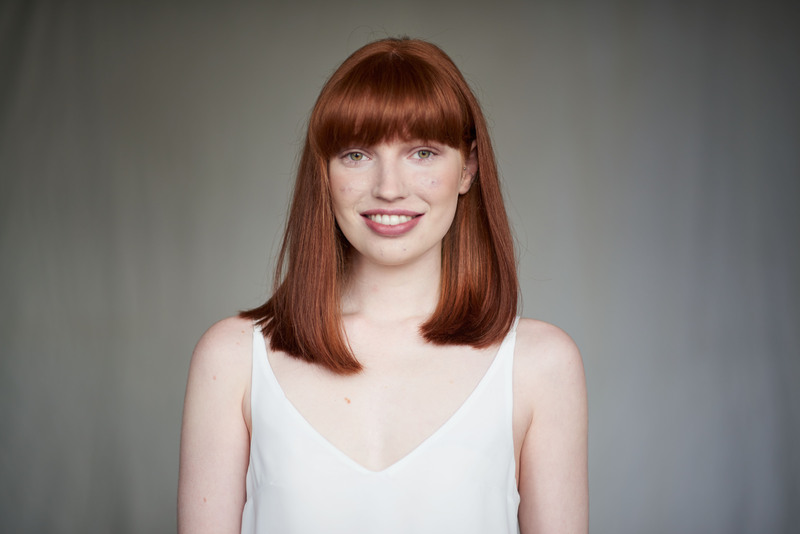 Rosacea is a skin condition which causes redness on the forehead, nose, cheeks and chin. Bumps and pimples can develop and, over time, blood vessels on the face can become more prevalent. The changes on the skin can become a lot worse in Winter. Even if you don’t think you’re prone to rosacea or skin sensitivity, your current skincare routine might need to be tailored to the demanding weather conditions, and this includes changing your makeup. A standard foundation may not provide the coverage you need to conceal the facial redness associated with rosacea, which is why a full coverage foundation is essential for Winter. Hailed the best-kept secret in beauty by models and make-up-artists, Veil Cover Cream is a specialist brand of camouflage make-up designed to provide long-lasting cover for a range of skin imperfections including facial redness and rosacea. 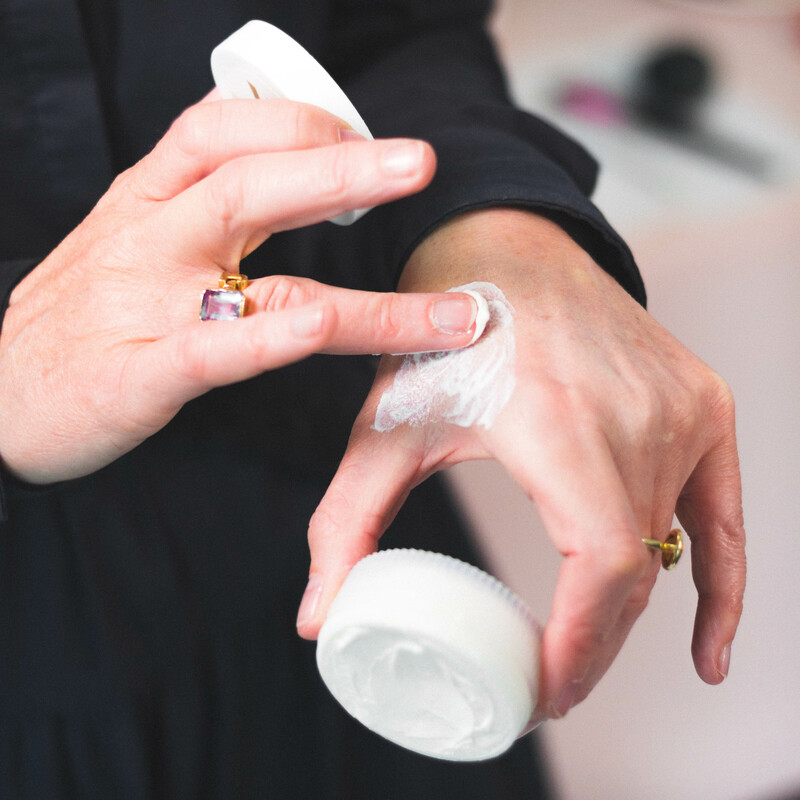 Manufactured and hand potted in the UK by a dedicated team of craftsmen and women, Veil Cover Cream follows a unique manufacturing process using pure and simple raw material. The original recipe has been a success for over 60 years, and it continues to provide a truly flawless finish. Top tip – To cover up any redness on the skin apply a small amount of Veil Cover Cream in a dabbing motion with a moist sponge, such as a Beauty Blender. 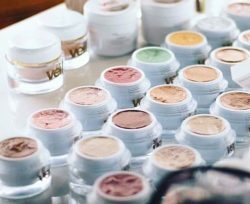 The Veil cosmetics range includes 42 shades of Cover Cream, ensuring a perfect colour match for all complexions, as well as specialist finishing powders in two shades to make sure your makeup stays put all day long. What’s more, it’s waterproof, oil-free and best of all, not tested on animals. 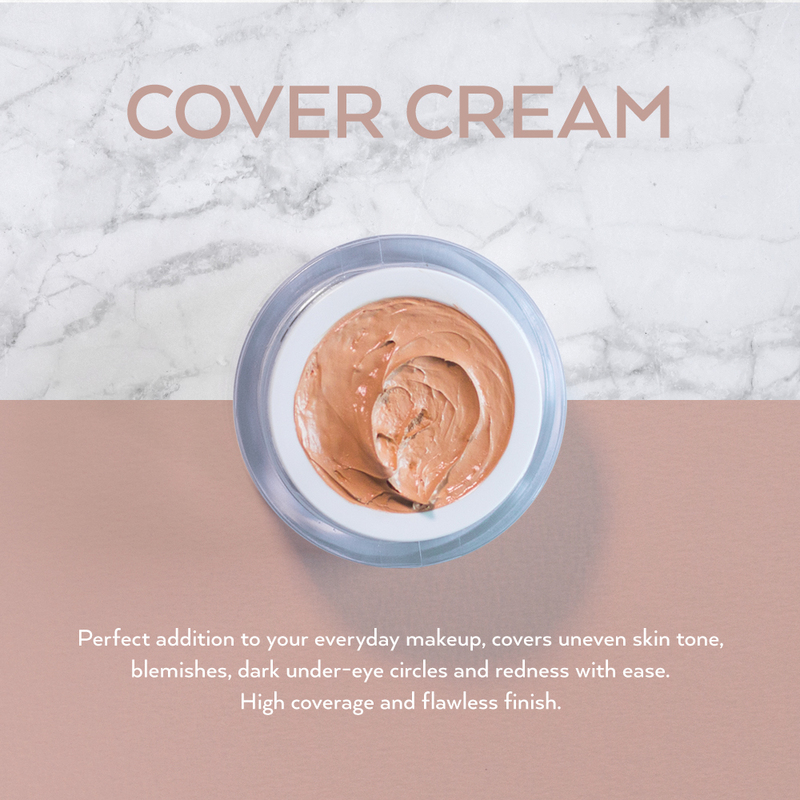 With its wonderfully creamy texture, it is easy to apply onto the skin, and a little goes a very long way – allowing you to create the level of coverage you desire to keep the seasonal redness and rosacea at bay (or at least hidden!). Does the Winter weather prove problematic to your skin? Let us know in the comments! The makeup market is about to be shaken up with Veil Cover Cream, designed to make any skin tone look amazing. With 42 shades to choose from, you’re bound to find your perfect fit. The foundation is available in 42 super-blendable shades to match all skin tones, and with its full coverage and versatility, Veil Cover Cream is looking set to take the UK makeup market by storm. What’s more, Veil is on a mission to empower people. We want to spread our honest approach to beauty and looks – making everyone feel confident and encouraged to be the best version of themselves. Created in 1952 by chemist Thomas Blake as a cover cream for burns and skin conditions, Veil covers all imperfections to give an unrivalled finish. 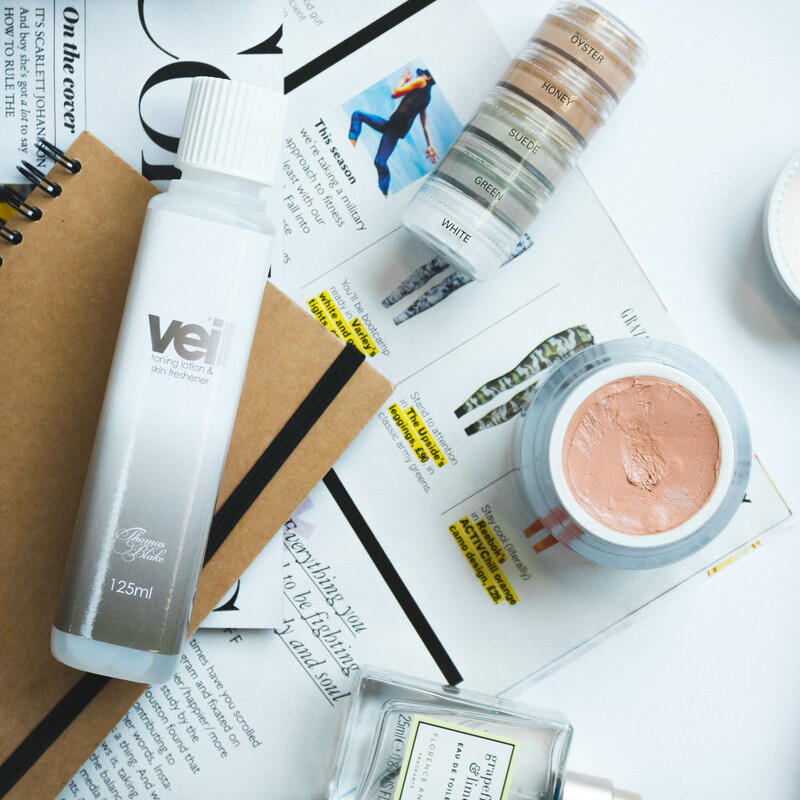 As the trends for camo makeup and a flawless look continue to dominate the beauty world, Veil allows anyone to achieve perfect skin. Veil Cover Cream is designed specially to give full coverage, making imperfections a thing of the past. With such a wide range of shades on offer, Veil Cover Cream blends effortlessly to make any skin tone glow and show off the real you. It’s little wonder Veil is finding a growing following of admirers across the UK. Are you already a user of Veil? Has it helped your confidence? We’d love to hear about it in the comments! Makeup is a big part of prepararing for a wedding – particularly if you’re the bride! Makeup artist Jo Leversuch shares with us some great tips for every bride. Whether or not you decide to get the professionals in for your big day, it’s always important to test out various products and find what works well for your skin before you walk down the aisle. We all want our foundations to look perfect and last all day long. Whether we are going to a wedding, special occasion, prom, or night out with friends, the flawless look is the biggest trend to hit the industry in recent years. 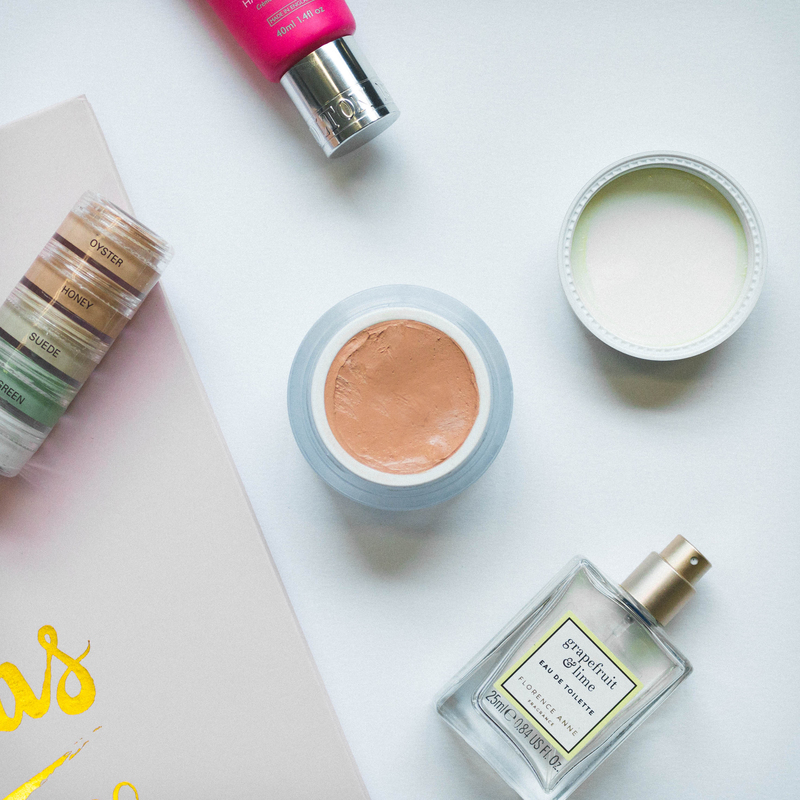 This is even more important if you’re preparing for your wedding – you need a foundation that will stay put day and night and leave your face looking fresh and not oily. 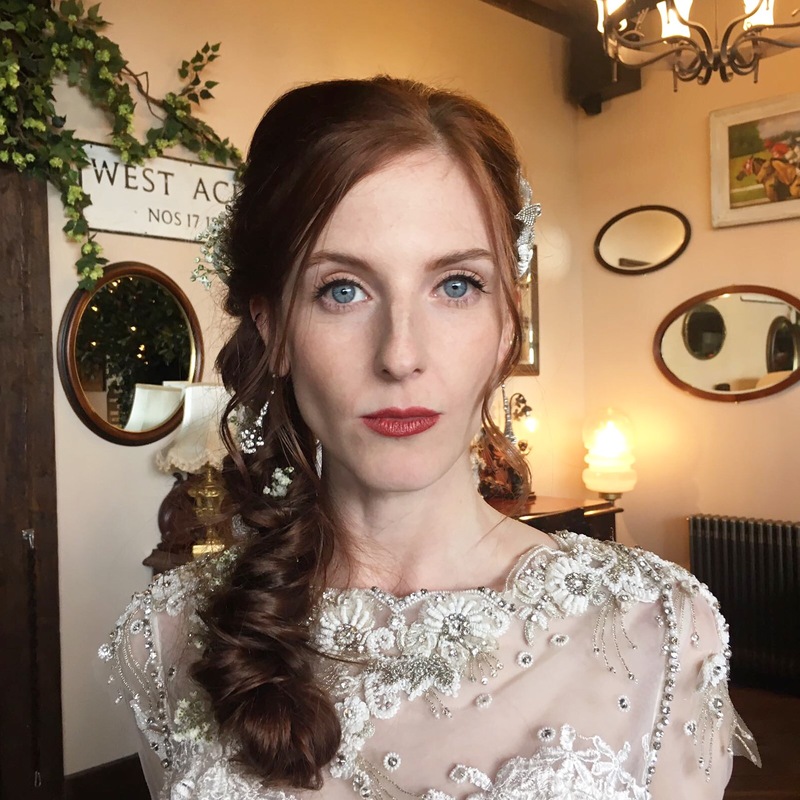 We caught up with professional MUA Jo Leversuch on bridal make-up. That’s right, I do a lot of bridal and wedding make-up – I really enjoy being a part of a client’s big day. I’ve worked on a number of weddings so far this year (including a last minute bride who’s original make-up artist didnt show!) and also offer one-to-one or group tutorials for some brides who want their wedding party to learn how to apply make-up. I also do a lot of editorial bridal work for DW Magazine, Belle Bridal and other wedding magazines. Have you used Veil in your wedding looks? Veil Cover Cream is a hidden gem in my eyes. Being in the industry I get to use and try a mixture of foundations on the market. Veil Cover Cream is a multi-purpose product which can be used as a concealer as well as full camouflage for more skin issues. There are so many key benefits to Veil Cover Cream from being exceptionally long-lasting, oil free and waterproof plus it is not tested on animals which a lot of my brides love. What’s the best way to apply full coverage foundation? The best way to apply a cream such as Veil Cover Cream is to start in the middle of the face/t-zone area and work outwards using the Beauty Blender sponge (a slightly damp sponge is best too). By applying the Veil Cover Cream in this way you can build up a light and to a fuller coverage if you should prefer. To apply as a concealer I like to use a small concealer brush and then dab with my fingertips around the eye area. To create a less dewy complexion you can finish and set the foundation with Veil Finishing Powder. Finally, do you have any tips for brides who have decided to do their own bridal make-up? It all depends on the look the bride wants to achieve – my signature looks are all very natural, so for this I would always advise a light application of Veil Cover Cream set with powder to keep it in place all day. You can then use a little of the darker and lighter pink tones to contour the face. Use your fingers to apply these on the cheekbones and feel your bone structure with your fingers to ensure you get the contour lines just right. A bold statement lip will finish off any look perfectly. I love Bobbi Brown lipsticks, they’re really creamy and rich in colour, plus they’re long-lasting too so perfect for a wedding! Do you have a wedding coming up? Let us know in the comments! An exclusive invitation to our blogger and MUA event! On Monday 11th September we’ll be hosting an exclusive blogger and MUA event in Middlesbrough, and we want you to join us! If you’ve not come across Veil before, it’s a specialist brand of camouflage make-up designed to provide long-lasting cover. Traditionally used for skin imperfections including vitiligo, birthmarks, port wine stains, rosacea, acne, pigmentation, scars, eczema, psoriasis, varicose veins and unwanted tattoos, our Cover Cream is also the perfect addition to an everyday makeup routine to create a flawless base. It is also suitable for a range of make-up techniques including contouring, highlighting and strobing. With key professionals and an award-winning make-up artist (who includes London, Milan and Paris Fashion week in her portfolio!) delivering demonstrations at the event, you don’t want to miss it! Tickets are limited, so please RSVP asap to secure your ticket. For further information please contact sarah@thecreativealchemist.co.uk. Summer is in full swing, and so is the opportunity to show some skin! Lounging at the beach, garden parties and BBQ’s all call for pretty dresses and bikinis. But for some people, the thought of wearing Summer clothes fills them with dread. If you’re feeling this way, you’re certainly not alone. Thread veins affect around one in five women in their 20’s, a figure that rises to around half by the age of forty and continues to increase. By the age of 70 over 70% of women have some thread veins on their legs. But what are thread veins, and how can they be covered? Thread veins are small dilated visible blood vessels that appear on the skin, also known as spider veins or telangiectasias. These dilated blood vessels appear small and occur when the blood vessels in the skin permanently dilate and rupture. This causes the blood to spread to other blood vessels which leave a red or blue appearance. Why thread veins occur isn’t known but experts have identified a number of triggers. For example, an increase in female hormones can trigger the development of thread veins. Another trigger is pregnancy. Being pregnant puts extra pressure on the circulatory system which is why it is thought to be a trigger. Being on your feet all day can also trigger thread veins as this increases the pressure on your legs. Consuming too much alcohol can also result in thread veins. Why? Well, alcohol is known for causing the blood vessels to dilate and can also weaken the connective tissue in the skin. Thread veins can also simply be inherited or triggered by things such as being overweight, using skin thinning products, consuming spicy foods and even exposing skin to the sun. If you want to be rid of those pesky veins for good, laser removal is an option, but it can be costly and results can vary greatly. For a simpler, pain-free and much more cost effective way to hide thread veins, Veil Cover Cream is the answer! Our full coverage concealer is densely pigmented with peach undertones which will counteract the blue/purple tone of the veins. Build up the foundation to your desired effect, and simply brush with our finishing powder to set the foundation and give you flawless legs all day. Our products are also waterproof, so you can be sure that the cream will stay put no matter what you have planned for the warm Summer days! For more information on how to apply Veil Cover Cream, head over to our tutorials section on our website today. What is Behçet’s disease? And what’s it like to live with it? Join us as we meet Cindy to learn more. Although doctors aren’t sure what causes Behçet’s disease, they believe that the condition starts when the immune system mistakenly attacks the body’s blood vessels. Although Behçet’s can cause lesions to appear on the skin, it is technically not a skin condition. As well as causing painful skin lesions Behçet’s disease can also cause ulcers, blurry vision, painful eyes, vision loss, sores, painful joints, joint swelling, headaches, fever, memory loss, trouble speaking, diarrhoea, stiff neck and stomach pain. It’s utterly heartbreaking for those suffering from it, as flair ups can occur at any time, and without warning. Unfortunately, there is no cure for Behçet’s disease. However, there are some treatments available to help with the symptoms. In the UK only 1,000 people are said to have the disease, which means that the condition is super rare. The condition is also said to first appear in those who are in their 20s or 30s but can still appear at any age and it is said to affect more men than women. We are proud to work with Cindy, who has suffered from Behçet’s for many years. The disease hasn’t stopped Cindy living her life, and she is a professional model who works on a whole range of projects for some amazing brands. Cindy discovered Veil after someone at her agency pointed her in our direction, and she’s become a fan of our Cover Cream ever since! Head over to the Your Stories page our website to hear Cindy’s story on living with Behcets, and how Veil has helped her become more confident in her own skin.